The Synapse experience is about providing an unparalleled level of detail and choice in designing the personality and mind of your character. The game engine represents your mind as a seperate entity from your body. Your mind merely interfaces with your body. This allows you to run any game you want because you can change the interface. Your character can easily move in and out of their body and into cybernetic environments, giant war mechs, alternative forms such as ghosts or golems, or any other possibility that you desire. Of course, you can stay in your body just as easily, perhaps augmenting it with vampiric or magical powers. 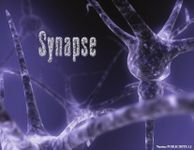 Synapse models the influences that affect your mind throughout your life. Your mind is placed into a body which you define from over a hundred customizable options ranging from mandibles to echolocation. You are raised in a culture that bombards you daily with influences that mold and shape your mind. You grow up in a family that you define, live through opportunity and hardship that you choose, and on top of all this you add your own unique twist. What emerges is a character of enormous depth and nuance.